LAS VEGAS, Oct. 23, 2018 /PRNewswire/ -- cleverDome Inc.™, a B-Corporation that provides a community-driven solution to protect confidential consumer information by taking that information "Under the Dome"TM (i.e., secure and off the open Internet), while at the T3 Technology Conference 2018 for financial services enterprises in Las Vegas this week shared information about the growth of its commercial launch, which (un-coincidentally) occurred 12 months ago while at a special press briefing held Oct. 30, 2017, at the T3 Technology Conference for financial services enterprises. cleverDome's focus for the past 12 months has been to bring software service vendors, broker/dealers, registered investment advisers and financial advisers "Under the Dome." cleverDome participants include United Planners, Geneos, Redtail, Orion Advisor Services, Riskalyze, Entreda, FCI, Workplace by OS33, 3PAS and Netfoundry. InterGen Data, an AI-driven solution for advisors who seek to better understand their clients (and an award-winner at the Orion Fuse competition in September 2018), is also in conversations with cleverDome. The cleverDome solution provides the fundamental model for the future of financial networks: The unification of end-point protection with a secure communication layer under a common due-diligence standard. cleverDome's mission is to help financial services firms better protect their company and clients from cyber-fraud with a secure network environment. The call to action continues to be: "Get Under the Dome™." "Keeping personal data of consumers safe with a fully secure network has been a great challenge across the financial services spectrum. 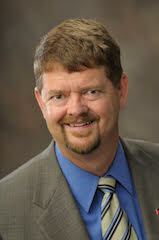 We have created a community-based platform to protect confidential client information in the cloud, under the Dome," said Alan Gleghorn, newly appointed president of cleverDome, who has been brought on to build out the cleverDome team and bring new members into this unique financial services industry consortium. "We have now changed the game with a highly effective solution that is proven with leading financial services firms. We are excited to see how well the cleverDome platform is being received as we revolutionize the way financial services firms connect with each other and their clients efficiently, quickly and securely." Gleghorn and cleverDome CEO Aaron Spradlin – along with numerous cleverDome Co-Op and Consortium members – will be available to speak with conference participants at Joel Bruckenstein's T3 Enterprise event Oct. 22-24, 2018. Look for them in the Exhibit Hall and on stage. Now in its sixth year, the T3 Enterprise Conference has become the leading enterprise-focused technology conference in the financial services industry. "This annual gathering is specifically designed for heads of large financial advisory firms and executives from financial services firms (broker/dealers, OSJs, RIA advisor networks, trust companies, banks, etc. )," said Joel Bruckenstein, CFP®, producer of the T3 events, the T3 newsletter, the T3 Jobs Board and the T3 Virtual Exhibit Hall. "Enterprise delegates emerge from the three-day conference with timely information and insights on building a technology-first financial services firm. The T3 Conference offers a robust agenda and slate of impressive speakers. Industry thought leaders and executives who attend the conference appreciate dialoguing about challenges and opportunities within the financial services industry, networking and sharing insights on how they are meeting company goals using applied technology. " "I am especially looking forward to hearing InterGen's Robert Kirk talk about pushing the AI envelope to create new digital wealth experiences while being enabled by industry-leading military-grade encryption during his presentation on AI – Digital Disruption or Digital Disaster," said Gleghorn. "Today's firms are standing on the precipice of new digital wealth models that are being driven by artificial intelligence, third-party innovation and technology accelerants that could lead to either tremendous growth or historical disaster. Whether you are pushing the envelope of adopting new technologies or deliberately taking a wait-and-see approach, our industry is moving ahead and transforming at an exponential rate. The fear of missing the boat is a reality, but so is the fear of doing the wrong thing. cleverDome is committed to being part of the solution." cleverDome,Inc. ™ is an Arizona Benefit Corporation (B Corporation) that operates as a Co-Op. Members include managed security service providers, software service vendors, custodians, broker/dealers, registered investment advisers, financial advisors and ultimately their investor clients. As a B Corporation, its mission is to protect confidential consumer information through safe, reliable and fast internet connections. cleverDome CEO and co-founder Aaron Spradlin and Chief Risk Officer and co-founder Bridget Gaughan established cleverDome as a B corporation to create a solid and permanent commitment to delivering a community-based solution to protect confidential client information. cleverDome provides a fundamental model for the future of secure trust networks: the unification of end-point protection with a secure communication layer under a common due diligence standard. This revolutionary model is built on a community-driven platform in collaboration with financial services industry thought-leaders. The Dome is powered by NetFoundry ™, a Tata Communications business incubated in Tata Communications' "Shape the Future" program. cleverDome was in September 2018 honored as a finalist in the 2018 WealthManagement.com Awards as a "disruptor" in the financial technology category. This 2018 acknowledgment comes on the heels of cleverDome / Netfoundry being named by the judges presiding over the fourth annual Fuse Conference held Sept. 7-10, 2017, in Park City, Utah, (hosted by Orion Advisor Services) as "most likely to disrupt" the financial services industry. 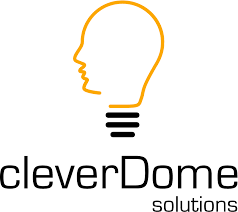 Beginning in 2019, cleverDome will develop a consumer model to deliver the Dome to American consumers, a group that is vulnerable to cyber-attacks. Learn more at www.cleverDome.com.